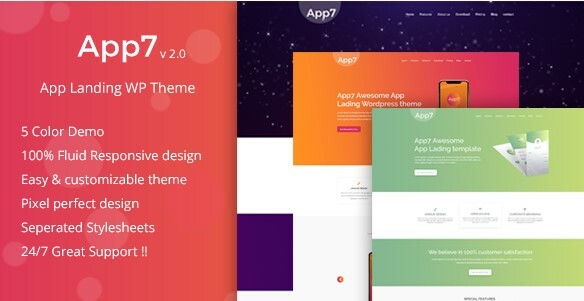 App7 is Awesome App landing HTML5/CSS3 template Specially Develop for any kind of app, app landing, App Showcase, app store, app landing page, app template, app landing template, and app website.You can use this beautiful template for any startup or professional business app. App7 has multiple color, animation, transition and seperated stylesheet. So it will be very helpful for used.